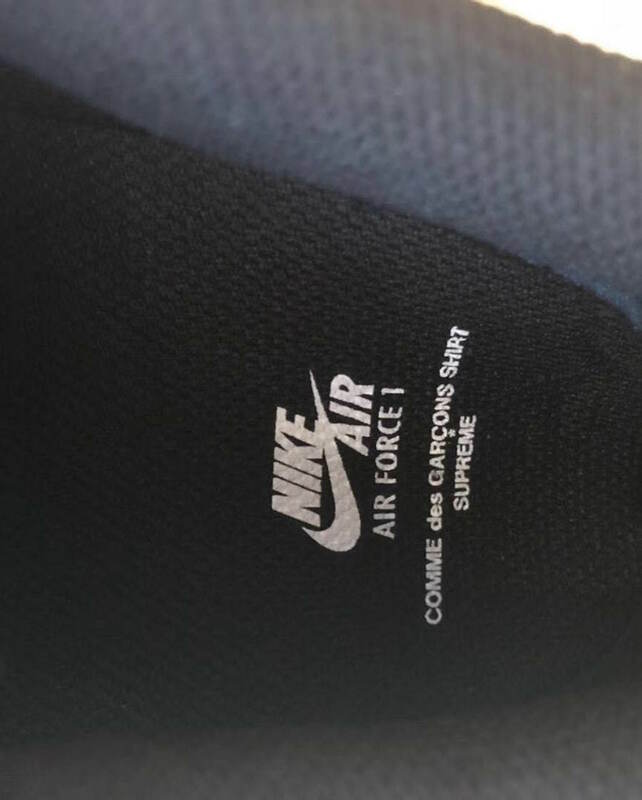 Supreme and Nike have something else cooked up for later this year, and it includes a brilliant third partner: Comme Des Garcons SHIRT. The Japanese fashion label will align their design eye with that of Supreme for a new Air Force 1 Low coming in Fall. Nike is known for taking a strange mix of collaborators and turning out a beautiful product. The new Air Force 1 Low unveiled today is perfect evidence of this, placing the design teams from New York’s Supreme and Japan’s Comme Des Garcons SHIRT in the same room. The last time these two powerhouse fashion labels teamed up, the frenzy for the apparel was incredible, and can still be recognized in the resale prices to this day. 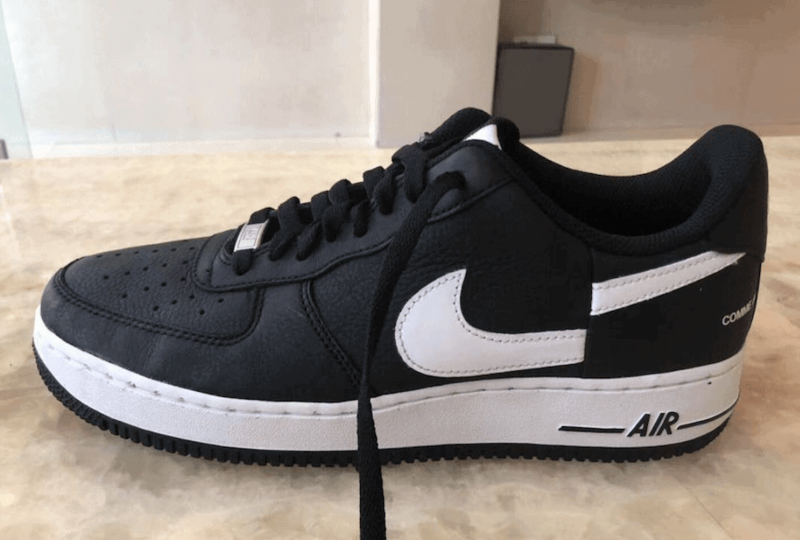 Now, the two have taken their talents to Nike, creating a simple, yet wild new Air Force 1 sneaker expected to launch later this year. 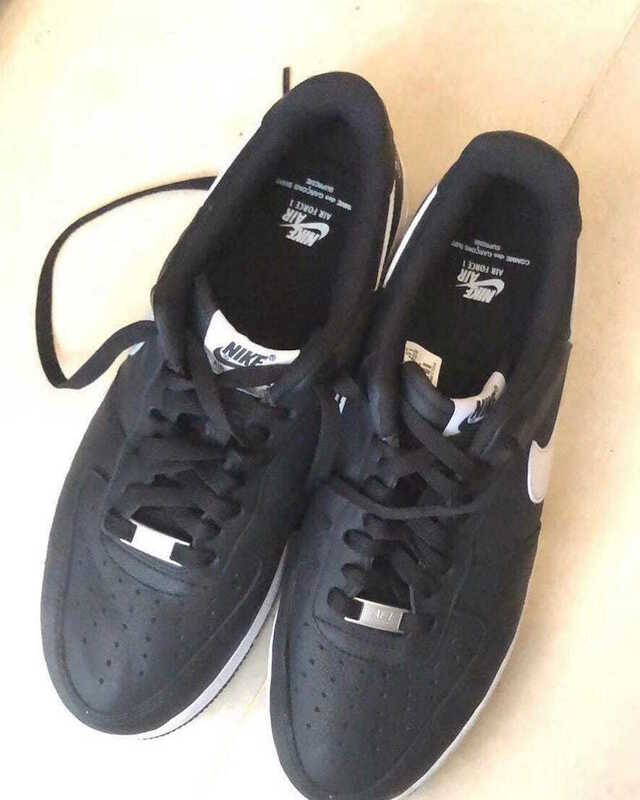 The Supreme x CDG x Nike Air Force 1 Low is unlike any Uptown we’ve seen before. While the smooth black leather upper is nothing new to the storied silhouette, the new details of the shoe are striking. The white Swoosh on either side is split at the middle and both pieces are moved slightly up or down to accentuate the space between them. Finally, Supreme and Comme Des Garcons SHIRT branding appear on the heel and insoles to complete this special edition pair. 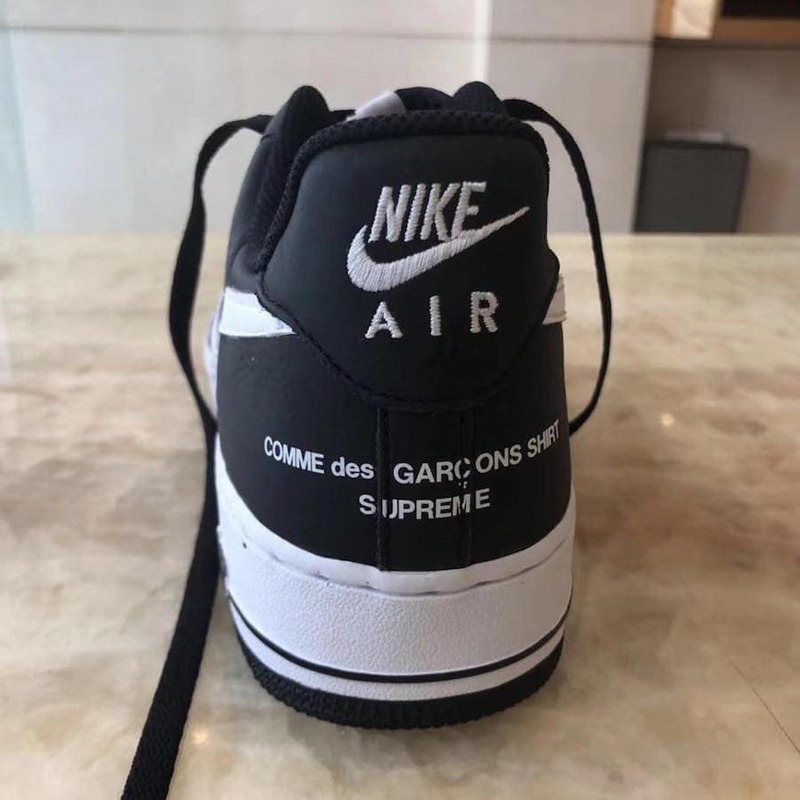 The Supreme x Comme des Garcons x Nike Air Force 1 Low has not been assigned a release date yet, though they are expected sometime in September 2018. Currently, a retail price is also unknown, though it is expected to be unusually high given the partners involved on this collaborative pair. 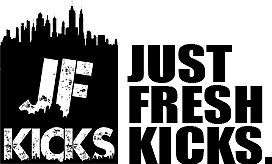 Check out the early images below for a better look at the new sample, and stay tuned to JustFreshKicks for more Nike Air release info.